This topic contains 6 replies, has 5 voices, and was last updated by Teesh 6 months, 2 weeks ago. Been in bed since Valentine’s day with AF. Seeing a good naturopath. Having a problem with low blood sugar ruining sleep, and of course the thing we need most is sleep. I have tried more carbs at dinner, all sorts of bedtime snacks with carbs and without. I eat a bit of chicken when I wake at 1-2 am but that only helps for 1-2 hours then have to eat more chicken. Then I’m up at 5:30am and eat my high protein breakfast then back to sleep for a bit. I already eat clean, no sugar, caffeine, gluten since last fall. I understand that when my adrenals heal, this won’t happen anymore. But in the meantime, can anyone share anything that helped you? Have you looked at your sleep hygiene? There are things that can help like limiting screen time before bed, eating the right foods, and having a truly dark bedroom environment. Are you sure that it’s low blood sugar ruining your sleep? What are the symptoms? Thanks for responding. I feel I have pretty good sleep hygiene-no screens past 8pm, dim the lights, relaxing stretching and breathing, prayer, eye mask and ear plugs. I’ve been checking my blood sugar with a monitor for 6 weeks. When I first crashed, my 2am blood sugars were in the 50s and 60s. Really low with bad sweats, heart racing, nightmares, etc. Thankfully I must be healing because now they are in the 70s but I still wake knowing something is really wrong in my body. It’s fascinating to read about the physiology of what happens in the liver and glucose dumping and the affects on the adrenals/hormones/cortisol. I do recommend anyone having some of these night symptoms to pick up a blood glucose monitor. They are very cheap on Amazon. Low blood sugar not only disrupts our sleep but is not good for the body and can be serious. Great idea to use the blood glucose monitor! Do you drink alcohol in the evenings? That can lead to a sharp drop in blood sugar at around 2am. What have you tried eating for dinner? I think a carb-heavy meal in the evening might be counter-productive. How about more fats and proteins to keep blood sugar stable for longer? Some plain, probiotic yogurt with nuts, for example. You could also try gymnema sylvestre. 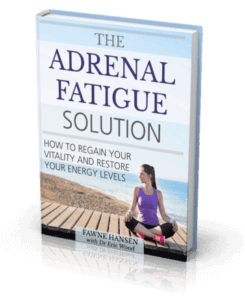 Fawne recommends it in her book as a useful tool to regulate blood sugar. It’s usually used to stop blood glucose from spiking, but I believe there’s also some evidence that it improves the way that your body uses glucose. It might be something that’s worth trying, in small doses at first. I’ve had a lot of problems with blood sugar, after eating meals and also at around 3am. I’ve been treating for pyroluria which has helped somewhat, but the biggest help for me has been cutting out gluten. Seems to be a link between gluten sensitivity and blood sugar crashes. I had this problem for the longest. Insomnia almost caused me to quit my job it was so bad. What i have figured out is eating half a green apple or a tablespoon of Coconut oil has helped tremendously! Try it out and let me know if it works for you. I have had the middle of the night low blood sugar wake me up as well. I’d wake up in a sweet feeling like I’m being electrocuted so I feel everyone’s pain on this board. My Dr./Naturopath suggested some protein about an hour before bed: Hard boiled egg, piece or 2 or turkey bacon. I also find that CBD oil (non THC legal cannabis oil) can help as well.